We believe in the value of people. We know our drivers by name and we know how important family is to you, because it’s important to us too. We’re proud to be family owned and it shows in how we treat our employees. We define our commitment to you with respect, understanding and extend an open door policy to every employee. We like to develop and maintain long-term personal relationships. 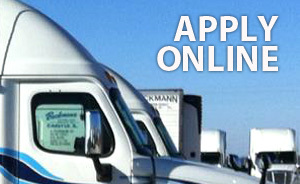 CDL drivers who have 1-24 months of the over the road experience must go through our driver training program. It is 4-8 weeks depending on the driver’s capability. 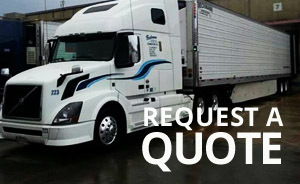 This program is actual over-the-road driving with a Beckmann driver-trainer guiding you thru the normal tasks that will be required as a solo driver. During this training period drivers are paid $60 per day while on the road – up to $420 per week. Successful completion of this program requires the trainee, your over-the road trainer, and Beckmann’s Safety Department to agree you are ready to be a solo driver. When the training program is completed, base pay is as follows (based on accumulated experience) and current MVR and CSA scores. • Must have no more than 3 moving violations in the past three years; no more than 2 in the past year. • Must not have any major violations (DWI, DUI, Hit/Run, Reckless Operation) with suspension in the past 5 years. • Must not have any positive drug or alcohol test results in the past 5 years. We're Hiring - Submit your application online today!